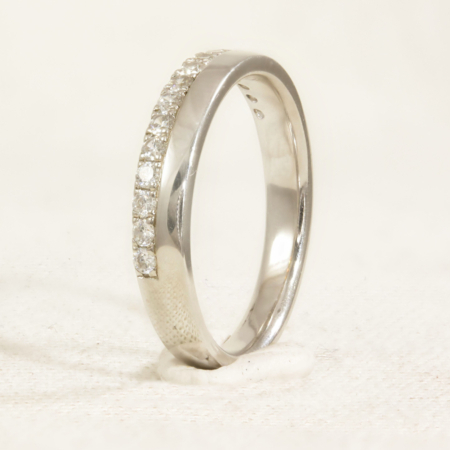 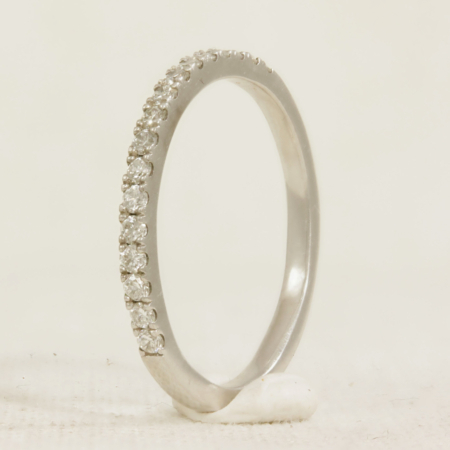 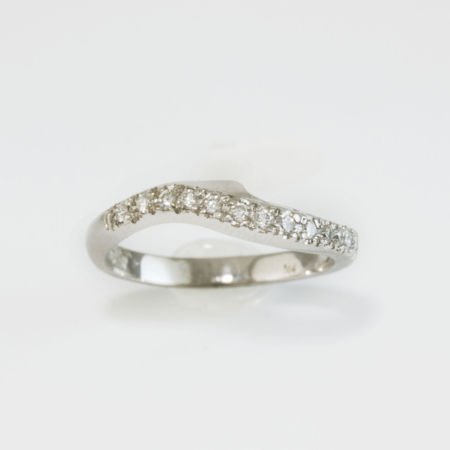 This stunning platinum band is channel set with 12 baguette cut diamonds. 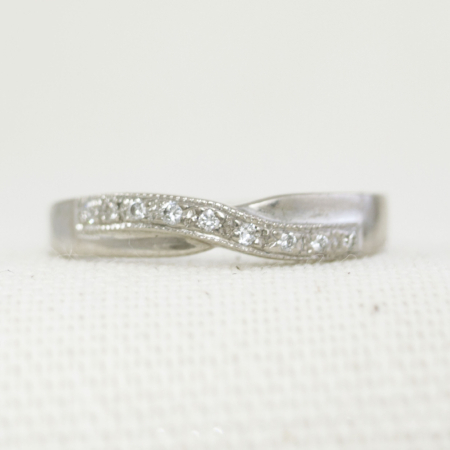 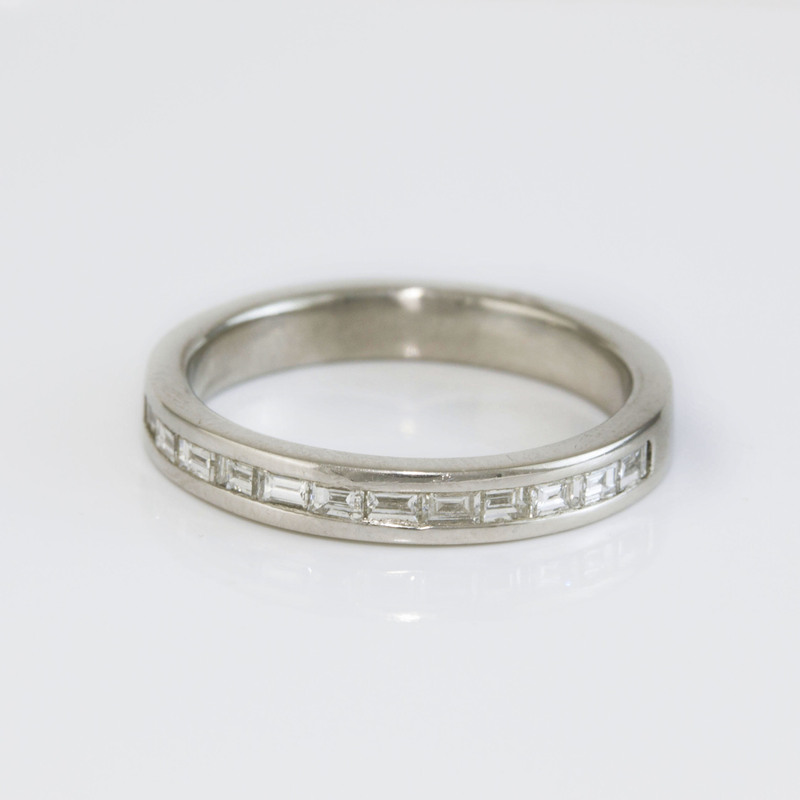 This band is half set with diamonds for a bright sparkle. 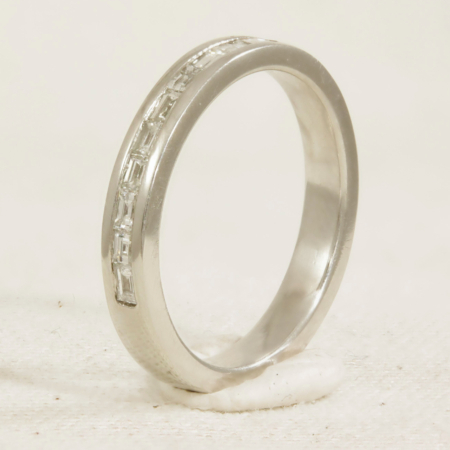 Inside Engraving available at no additional cost.